If you’re the owner of a Mercedes-Benz luxury model, then you understand the premium craftsmanship and top-of-the-line engineering that went into building your vehicle. 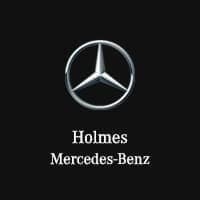 At Holmes European Motors, we’ve employ a qualified team of trained and certified technicians together to handle all of your Mercedes-Benz maintenance and repair needs. In our Mercedes-Benz service center, your car will be worked on using the most advanced diagnostic and maintenance equipment available, and we’ll manage all parts replacements using authentic Mercedes-Benz OEM parts. No matter what type of service your need, your day won’t be interrupted. We’ll be happy to loan you one of our Mercedes-Benz models. If you’re looking for a superior dealership experience to shop for your next luxury car, count on the dedicated team at Holmes European Motors. We’re your authorized Mercedes-Benz dealership serving Texas and Louisiana drivers in Bossier City, Alexandria, Texarkana, Longview, and over the years we’ve helped many drivers choose the right new Mercedes-Benz model for their lifestyle. If you’d prefer to save on your next luxury car, you can also take a look at our carefully tailored selection of premium pre-owned vehicles. When it comes to customer satisfaction, we’re committed to delivering at every step of the way. Our boutique dealer facility has been designed to match the carefully manicured nature of the Mercedes-Benz brand name. And when it comes to sales, you can be sure that our experts will help guide you through our selection to ensure that you get the right vehicle and best financing rate available. At Holmes European Motors, we look forward to building a relationship with you that’s built on trust, transparency, and the superior quality of our products. Find out why so many clients count on us for their luxury auto needs. Make your way to see us at 1221 E Bert Kouns Industrial Loop Suite A in Shreveport, LA. Great experience! Friendly crew that take excellent care of you from start to finish! Madeline (my sales rep) & Ken Posey (the Sales Manager) went above & beyond! Love my new 2020 GLE350! I had the pleasure of working with Joe Hammond when I recently bought my vehicle and he was excellent. Very friendly and motivated to work with me on negotiation. I was unable to talk on the phone much, due to work, so he was more than willing to text with me instead. The vehicle was in great condition and I love it! I would highly recommend Joe and Holmes European motors to anyone in the market for a vehicle! James Woodward was an amazing salesman. Didn’t pressure me. Everything was customer driven, and he worked to meet all of my needs when buying a new car. I got an amazing deal on a Mercedes because of him! Highly recommend James if you’re looking for an enjoyable, easy experience when buying a car. My only caveat to buying at this dealership was the finance manager, Dorothy. She was rude and condescending. If it were not for James, I would have walked out. Thankfully I was switched to another finance manager and was good to go. Go see James if you’re on the market for a new car!